If you want to make big profits working part time, then you need to know about tax lien certificate auctions. Imagine making 10, 15, 18, 20 and even a 50 percent return on your investment in just two years or less. It can be done. People do it every day. You can do it too. You just have to know the rules and do your homework. When a property owner does not pay his property taxes, the county puts a lien on the property. If the taxes continue to go unpaid, the county sells this lien at a public auction. This is your opportunity to invest and make big profits. In a tax lien auction, you are buying the right to collect the past due property taxes and interest. Interest rates in tax defaulted property auctions go as high as 36 percent annually in some cases in Illinois. In a tax deed auction, you are buying the property. You make money by selling the property, renting the property or finding some other use for it. I wrote about in the article . A tax lien, for this discussion, is a lien against a property filed by a local government (county, town, city) tax collector. It is a legal attempt to collect past due property taxes. The lien is recorded in the public records. A lien is often called a “fault” on the property title. When someone buys real estate, a title search looks for these faults in the deed. If the property is sold, the lien has to be paid off first. The property lien is sold at a public auction. The auction is advertised in the local newspaper. More and more, the auctions are also posted online. I wrote explains a tax lien in detail. You can get a complete list of states that hold tax deed auctions and tax lien auctions on my website, Members.TedThomas.com. I have videos and other articles that tell you everything you need to know to be successful and make big profits. It is legal for tax collectors to sell tax lien certificates to collect past due taxes. Every state has some procedure to conduct a tax defaulted property auction. Every county has rules, based on state law, conduct these auctions. The most recent tax defaulted property auction case that went before the Supreme Court is Jones v. Flowers. In writing for the majority, Chief Justice John Roberts says several times that it is legal for the government to sell property to collect past due property taxes. The first time he wrote, “We granted certiorari to determine whether, when notice of a tax sale is mailed to the owner and returned undelivered, the government must take additional reasonable steps to provide notice before taking the owner’s property.” Certiorari means a higher court reviews a decision of a lower court. In this case, the US Supreme Court reviewed a decision by the Arkansas State Supreme Court. He talks about certiorari and government selling property to collect past due taxes one more time. A bit later in the decision he wrote, “Due process requires the government to do something more before real property may be sold in a tax sale.” Due process means the government has to tell the property owner about the sale and give the property owner time to respond and try to stop the sale. Chief Justice Roberts says the auction is legal. ARE TAX LIENS A SAFE INVESTMENT? Tax liens are safe because the lien is guaranteed by the property. The Nolo article about tax liens says, “Usually, a property tax lien takes priority over all other mortgages or liens on the property, even if the property tax lien was placed on the property later.” In other words, the mortgage is set aside. It does not matter how much the property owner owes the bank. If you buy a tax lien at defaulted property auction, the mortgage is inferior to your tax lien and you will get paid before the bank. The bank cannot collect the mortgage from you. • The amount of taxes you paid. • Any fees, penalty and interest the tax collector added to the bill. • All the interest you are allowed to collect under that state’s law. Florida sets the price of the tax lien certificate before the auction begins. The interest rate starts at 18 percent and bidders lower (bid down) the interest rate instead of raising the bid price. The winning bidder is the one, who bids the lowest interest rate. The Miami Herald, South Florida’s largest newspaper, has . The article states the average interest collected in the Broward County and Dade County auctions is about 10 percent. HOW DO I BUY A TAX LIEN CERTIFICATE AT AN AUCTION? To buy a tax lien certificate at an auction you have to know the auction rules. 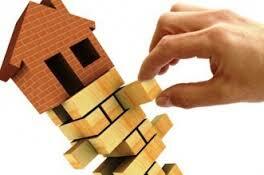 Every state has laws that set the basic rules for the tax lien certificate auction. Every county has additional rules. A good example is Ohio. State law requires a $500 deposit to participate in a tax lien certificate auction. After that, each county can set its own rules. Lawrence County, OH, requires be paid within five business days of the sale. Stark County, OH, is different. “A deposit of 10% of the Winning bid, but not less than $500.00 is due the Treasurer of Stark County, no later than Noon on the Day of Sale. The remaining balance is due in 30 Calendar days from the date the final entry confirming the sale is received by the Clerk of Courts,” the . You can get a complete list of tax lien certificate auction rules from the county where you want to invest. To start, decide which state you want to invest in. Then decide which county you want to invest in. Look up the county tax office with Google to get contact information. You can find a national tax defaulted property auction calendar and information about auctions in each state on my website, Members.TedThomas.com. WHAT HOMEWORK DO I NEED TO DO? You can invest anywhere in the United States. You just have to do your homework. That includes knowing the auction rules. You need to check out the property as thoroughly as you can. I recommend new investors try to attend a tax defaulted property auction close to where they live. That way they can get a good look at the auction process. They can also personally investigate a home they may be interested in. When you are ready to invest in other states, then you will have to check out the property in other ways. You need to know if the property is worth your investment. The tax auction listing is going to give you the address, the owner and how much taxes must be paid. It won’t give you the condition of the property or how much the property is worth. Zillow.com is an online real estate guide. You can see what the property is worth on this site. My website, Members.TedThomas.com, has two videos that explain how to use Zillow for property examination. You can also use street view programs like the one at Google Maps to get a look at the property from both aerial and street level. Investing in tax lien certificate auctions can deliver big profits as long as you follow the rules and do your homework. Let me help. My website, Members.TedThomas.com, tells you everything you know to be successful. Articles and videos have interviews with experts. The experts also answer the most common questions people have. As Chief Justice John Roberts wrote, “If the taxes are not paid, the government can have your property sold to pay the property taxes.” Big profits await for those who know how to invest in these auctions.